Retail Packaging Logistics | Are You Fit for the Olympics? Preparations for the Olympic Games are now well underway and Keenpac’s Retail Packaging Logistics Team is now officially our busiest department as they get ready for the influx. 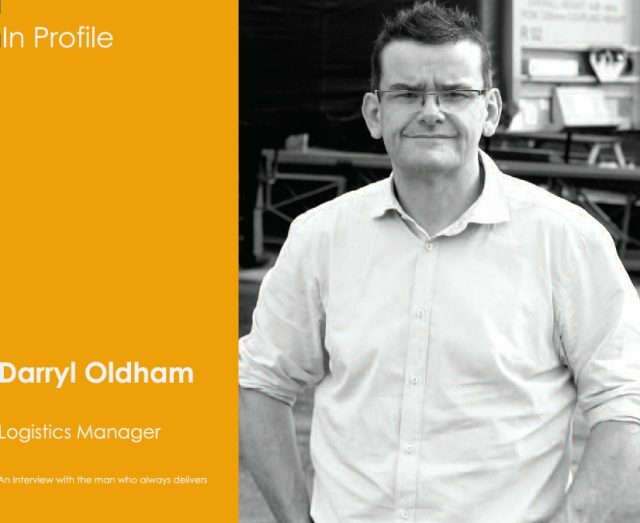 We catch up with Darryl Oldham, Keenpac’s Logistics Manager and ask him what he thinks will be the biggest challenges. No-one really knows what to expect or what the impact of the additional visitors to London will be – so what we and other logistics departments are doing is using the information we have been given from the official organisers and Olympic logistics partner UPS, to prepare as much as we can. It’s expected that there will be an additional 5,000 plus visitors to the capital per day during the Games themselves, so demand for retailers based in London is likely to be much higher than usual. We’re responsible for making sure that retailers have a constant supply of packaging – retail bags, gift boxes, tags, tissues, ribbon – for their store staff in order to cope with the extra demand. At the moment, they can simply place their orders when stocks run low, and in less than three working days, we can have their orders picked, packed, despatched and delivered. During the Olympic period in London, things are likely to be a lot different. One of the main issues facing us will be the many route restrictions that will be in force during the Games. Some roads, like Horse Guards parade for example, where they will be holding the Beach Volleyball, will be out of bounds entirely. It’s a similar story with other main roads around the country when they are part of an Olympic event, like the cycling road races or the marathon. Other roads on ‘the Olympic Route’ will be affected by large volumes of traffic as they’re the main ones leading from the Olympic Village to the Olympic events. These will change daily depending on the events to be held, but they are all subject to restrictions along with many of the key routes, where lane restrictions will be in force to allow for the athletes and their entourages to pass by unrestricted. Our advice to stores, is to plan for delays in getting stock delivered, which means holding more stock before the Games begin. Some of our retailers are making arrangements for larger stores to hold more stock, so that they can service the smaller stores nearby. One has even made space in its car park for containers, purely for stock holding. We will be able to make deliveries into London during the Games, but we will be extending our delivery arrangements to allow for a possible backlog – but nothing’s guaranteed, so advance planning is the way to go. There are some useful websites that will provide travel advice daily and the Keenpac Order Management Team will also be on hand to help in tracking deliveries or providing advice on Olympic Route restrictions and known delays. The main thing retailers need to do however, is to start planning now – don’t leave it until it’s too late – to identify which stores are most likely to be affected, check out the Olympic Routes carefully and ensure you have as much packaging as possible in store over the Olympic period. You can sign up for our Twitter feed where we’ll be posting recent developments as they happen.